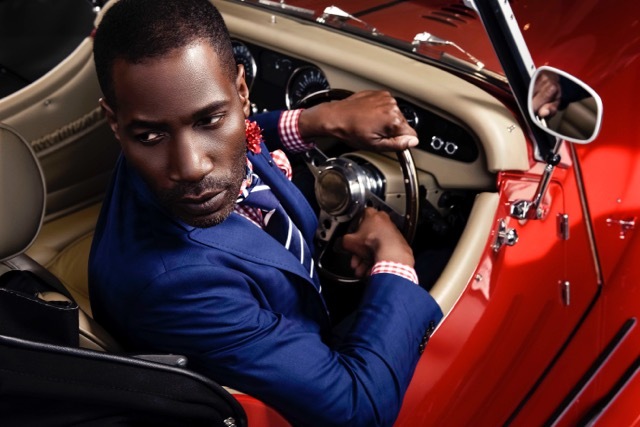 For Spring/Summer 2015 Fabiani embraces destination style with an Italian narrative that takes you On The Road. 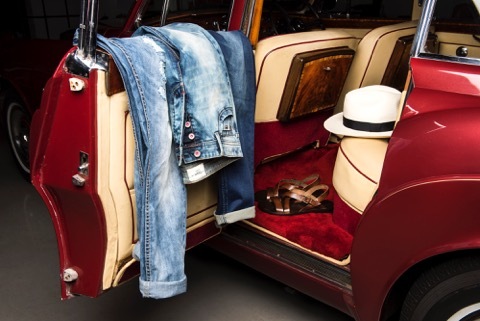 Inspired by the Targa Florio, one of the world’s oldest open road automobile races held in the mountains of Sicily near Palermo, the creative direction pays homage to vintage motorsport with a Fabiani twist. Soft tailoring, clean lines and hues of ocean blue effortlessly blend modern trends with iconic classics. The Fabiani woolstretch suit stars in navy and black while other suiting takes on a lighter form in beige or white for a quintessential European look. A premium stretch denim capsule collection offers a range of slim fit styles in classic 5 pocket designs. The collection’s colour palette extends beyond timeless beige, white and light grey to include a full spectrum of blues and brighter pastels. Comfort and versatility lead this season but always with an emphasis on premium quality and impeccable design. Blazers and bomber jackets in a combination of cotton and wool are paired with premium compact Giza cotton shirts printed exclusively for the brand at selected mills in Italy. Super fine jersey knit polos and tees add a pop of colour with Italian motorsport badges, motifs and branding for a first place finish. This season Fabiani launches a sophisticated sneaker in an array of colour combinations. The winning collection in full grain leather compliments both classic tailoring and casual streetwear, falling in line with international footwear trends. A wide collection of formal shoes in calf leather offers a range of styles for the modern man. 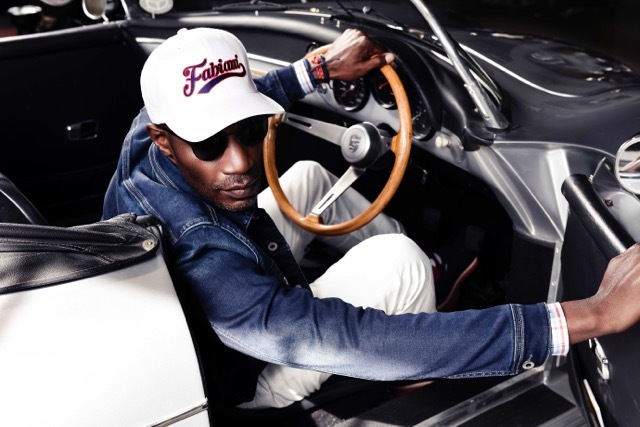 Finishing the look with one of Fabiani’s key accessory pieces including branded caps, pocket hankies, bracelets, eyewear, knitted ties or socks.